The Patchwork Eight-Panel Cap, sporting a selection of patchwork colours and designs, resembles the old spinning wheel and is commonly known as The Newsboy. Each panel has a different pattern and colour of tweed. This most colourful cap will blend in with any garment you might choose to wear. 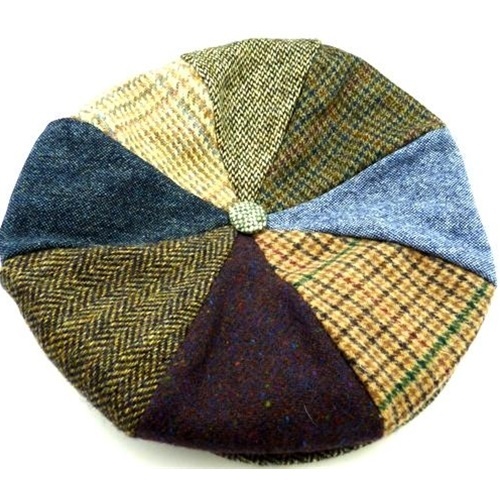 This cap is so unique that each one has different patchwork. No cap will ever look the same as another.